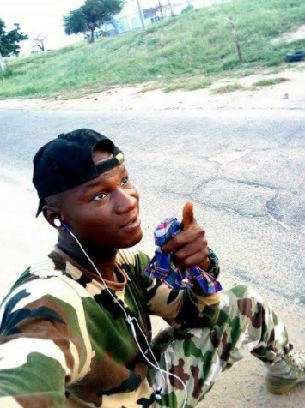 Uche Udeh, the young Nigerian soldier who was killed while serving in the North East of Nigeria was recently honoured by the Alumni Association of his Secondary School, Federal Government College, Enugu. Uche who enrolled in Military School after graduating from Federal Government College Enugu, later enlisted into the Nigerian Army in 2014. He was supposed to travel overseas for training in January 2018, before he died in November 2017. The Alumni Association, which is made up of ex-students who live in different parts of the world have united to give back to their Alma Mata and also support other charitable causes. The young Uche was given all military burial honors, which was witnessed by His father. 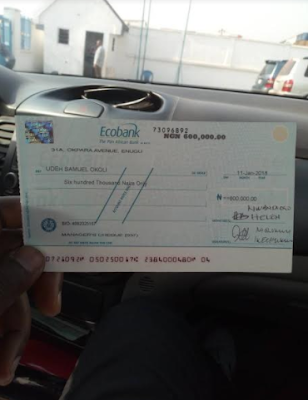 The Alumni Association also gave his father a cheque of N600,000 in honour of his son. May his Soul Rest in Peace.